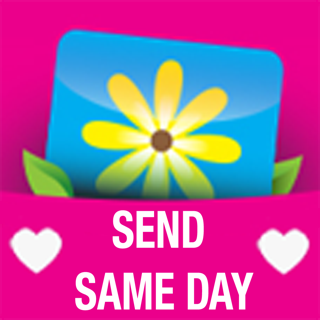 Ever forget to send flowers or a gift? Need SAME DAY DELIVERY? It can be frustrating trying to find a computer when you’re on the go. 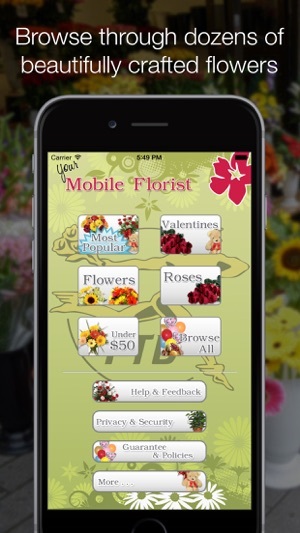 With Mobile Florist, that will never be a problem again. 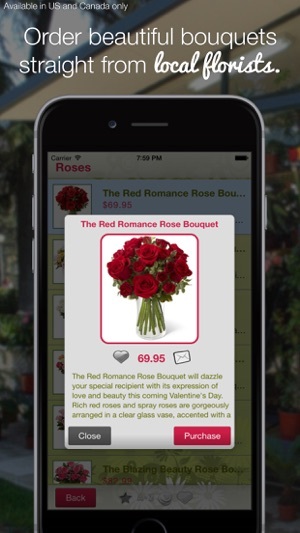 Now you can send flowers anytime anywhere nationwide direct from your iOS device. 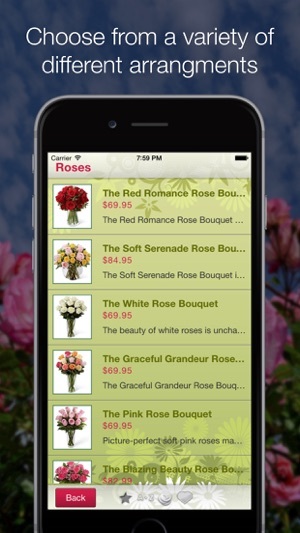 Mobile Florist is a leader in mobile device floral ordering and delivery services with over 1 million flowers delivered! 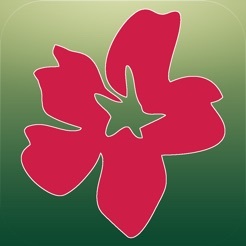 Mobile Florist fulfills all orders with the Florists’ Transworld Delivery (FTD) network to the US and Canada. 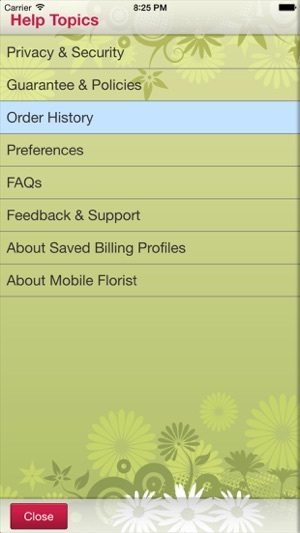 This means that a local florist in the recipient's area handles your flower order. Your flowers are hand arranged and delivered in a vase, guaranteeing QUALITY and FRESHNESS. There are no overnight voyages in dark boxes that test the tensile strength of cardboard. In most cases we can even offer SAME DAY DELIVERY! We use our experience and knowledge from past flower orders to select the best and most reliable florists from a network of over 15,000 local FTD florists. smells of bouquets, roses, lilies, orchids, tulips & more. Are they not the flower kind of person? Send a gift or fruit basket instead. Take care of that special someone on Valentine’s Day. Show mom your appreciation on mother’s day. Not just for holidays, Birthdays, anniversaries, “just because”, and even sympathy deliveries. No matter where you are in the world, send the most beautiful and the freshest flowers today! + Birthday Flowers & Gifts: From birthday bears to same-day birthday flowers hand delivered by local florists. 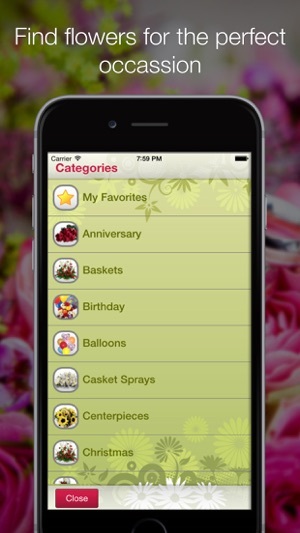 + Special Occasion Gifts & Holiday Flowers: Mobile Florist has gift ideas for any holiday! 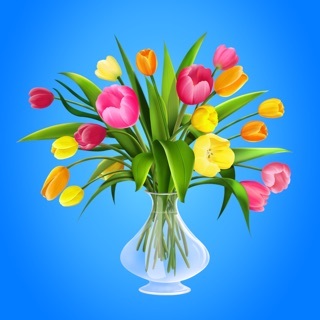 + Sympathy Gifts & Funeral Flowers: Convey your deepest condolences during a difficult time by sending funeral flowers or sympathy gifts to the home. + Anniversary Flowers & Gifts: Whether it’s a first anniversary or a golden one, you can help celebrate their (or yours!) joyous occasion with romantic gifts to show you care. + Last-Minute Gifts & Flower Arrangements: Need a gift today? No problem! + Just Because Gifts: Sometimes you don’t need a reason to send a smile, send one just because they’re awesome. Minor updates for the holiday season. Updated feedback form with new details. I had ordered a nice flower arrangement for my wife she had an unfortunate accident and I wanted to cheer her up. I had ordered the flowers at noon and had hoped they would get there that evening, they never did arrive. I received a phone call the next morning and was told that unfortunately they did not arrive and would I like to cancel the order and get a refund or possibly have them sent to my wife that day. I said yes let's go ahead and have them sent to her. Again the flowers were not delivered, and when I called customer service I was told there was a computer glitch. I was offered a full refund or to have them delivered on the third day. They should have at least sent them for free by that time. I decided I would get the full refund and take my business elsewhere. I usually use a different site for my flower deliveries, but couldn't find anyone who could do a delivery even close to my soon to be daughter-in-laws birthday until I found this one. It's still going to be a couple days after, but better than anyone else. Nice choices, though a bit more expensive than other places I usually use. I like the ease of the App and delivery options, so if in a bind again, will probably use again. I would definitely recommend to anyone. I'm just on just a restricted budget right now, every dollar counts. They're prices are not outrageous by any means , just wanted to clarify that! If there was a 10 star rating I would vote mobile florist just that. Always has good prices and they always get the flowers to their destination earlier than our local florist... Which is pretty weird not gonna lie to you. But I love it I tell you what so does my girl (: if you're thinking about this app or any other take my word for it man or ma'am, this is the way to go.